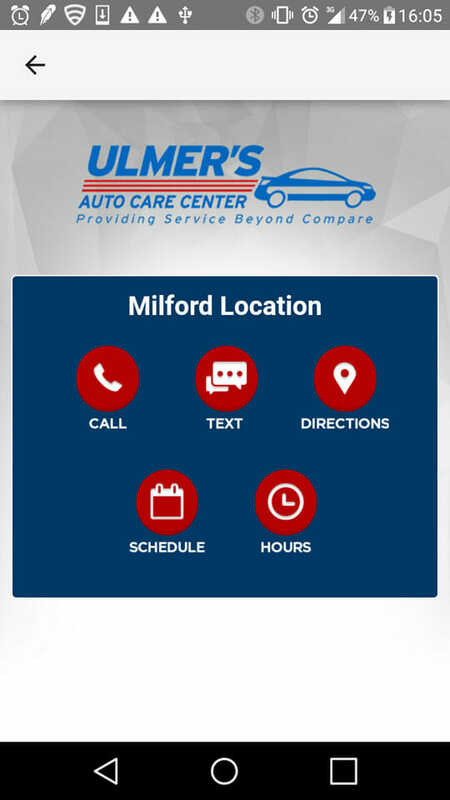 Convenient car care in Anderson and Milford, OH just got a whole lot easier. 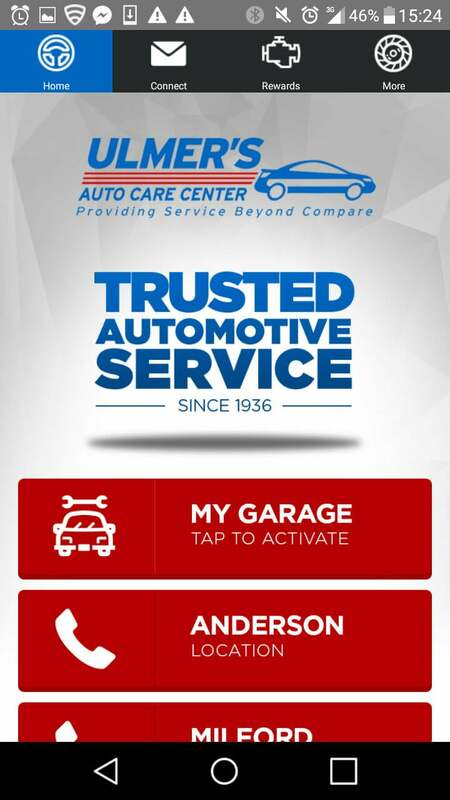 Your friendly auto experts at Ulmer’s Auto Care Center are bringing car repair into the 21st century with their new app! 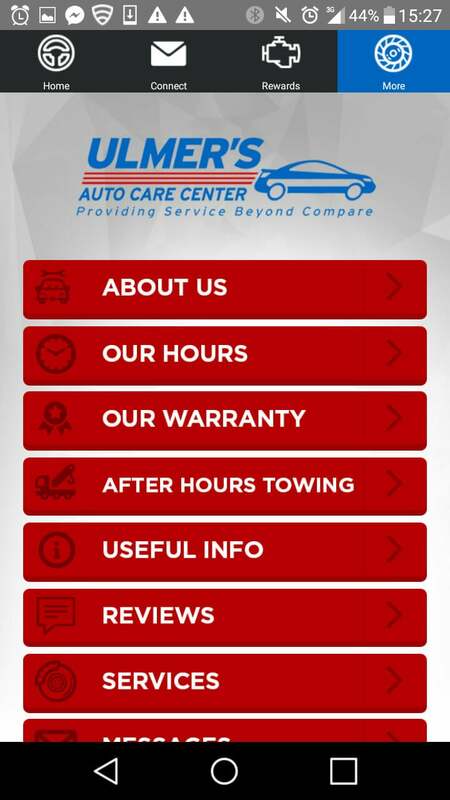 Thanks to the app, customers can schedule repairs, track maintenance, and a whole lot more to make sure that their car is always receiving the best service at the best price. 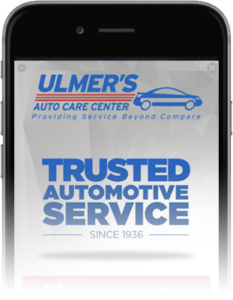 Learn more about the new, high-tech car care app from Ulmer’s and how you can benefit from it today. 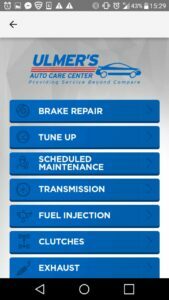 It can be easy to become overwhelmed with all the details that go into taking care of your vehicle. There are oil changes, state inspections, tune-ups, and that’s just the routine maintenance. Emergencies can make things more complicated. 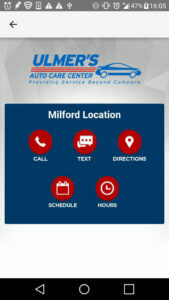 Drivers need to be able to find reliable car repair near them, schedule appointments, and more. It can often be time-consuming or inconvenient to track down a mechanic on Google and go through all the steps to get your car fixed. 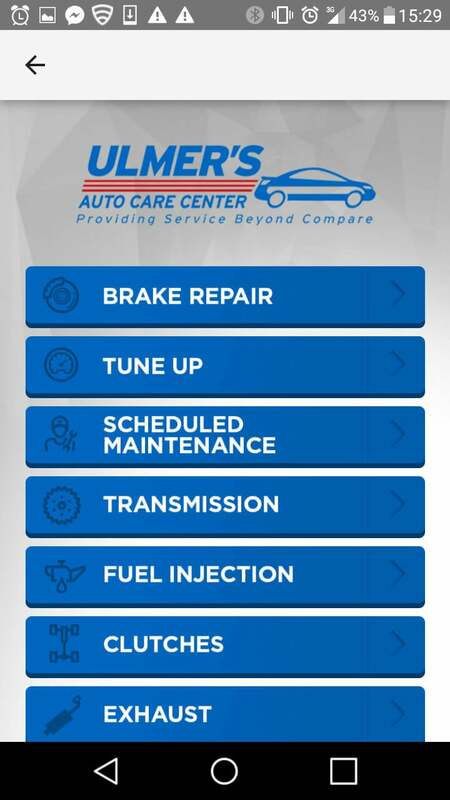 With the Ulmer’s Auto Care app, you can do it all with just a few taps. 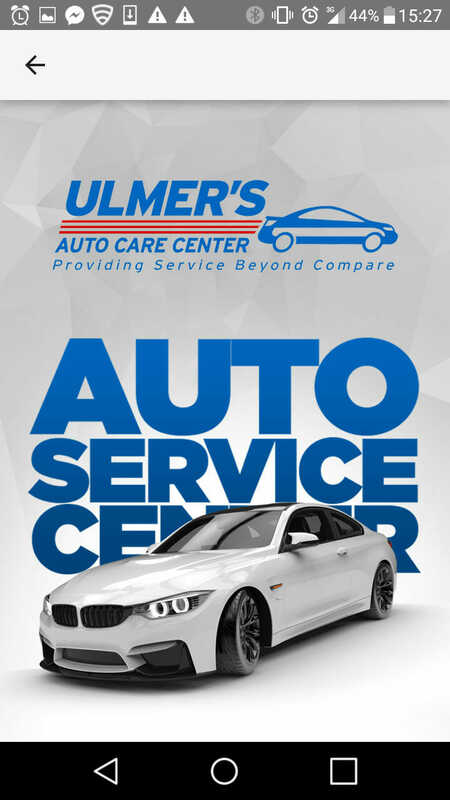 Ulmer’s has been serving the car care needs of Anderson, Milford, and Cincinnati since 1936 and has continued to stay ahead of the curve every step of the way. The new Ulmer’s Auto Care app streamlines the auto service scheduling process while offering additional savings that drivers won’t find anywhere else. The app lets users create a garage profile of their unique vehicle and set notifications for the next time they’re due for an oil change, state inspection, or regular maintenance. You don’t have to wonder when your last oil change was before you head out on that road trip. The app will do it for you! 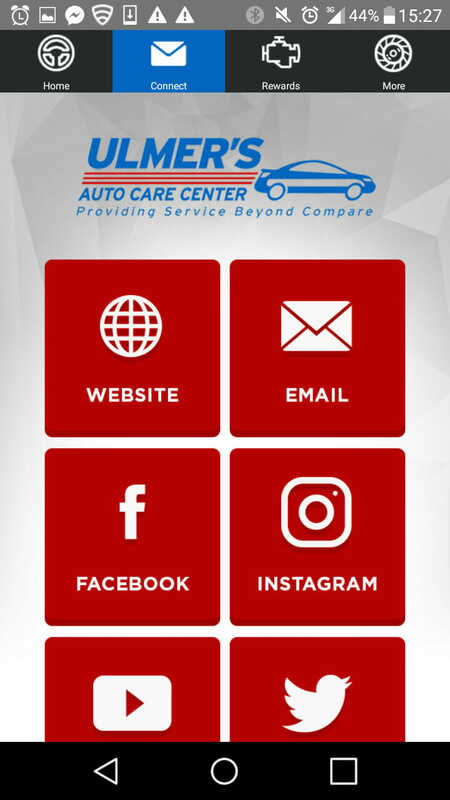 And the Ulmer’s Auto Care app is more than just an excellent way to keep track of maintenance and stay in touch with your favorite auto shop. Customers can also take advantage of the convenient “part cam” feature to take a picture of the auto part they need to be repaired, send it to Ulmer’s, and see if the part is in stock or if your mechanic has to order it. And it’s all done without having to bring your car to the shop. Users can even use the app to schedule 24-hour towing by sending their location through their phone’s GPS! That’s just some of what technology can do to upgrade how you care for your car. 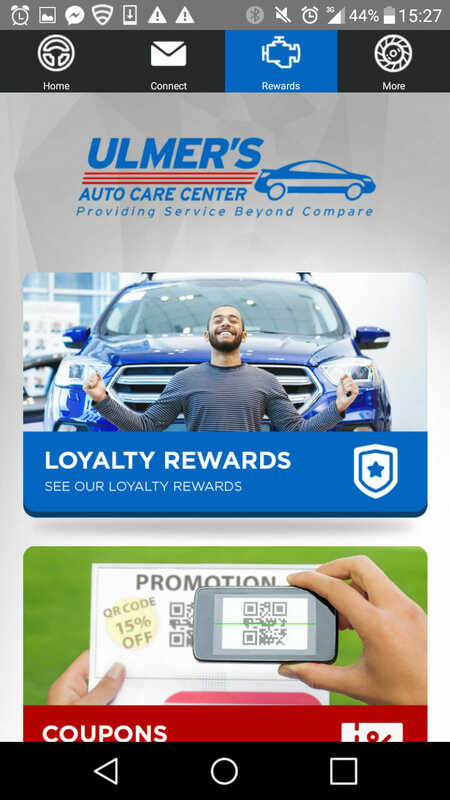 People that download the app can also take advantage of loyalty rewards and exclusive coupons to save big on their next auto service! 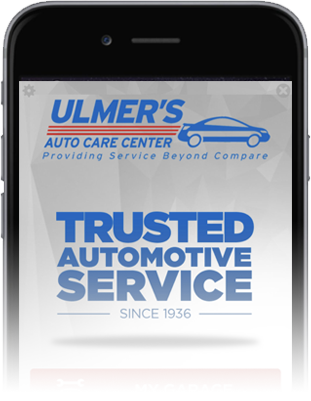 With the new Ulmer’s Auto Care app, drivers can finally enjoy quality auto repair that’s ready for the future. The app is available in the Apple App Store and Google Play. Download the app today to take advantage of convenient service and great savings!